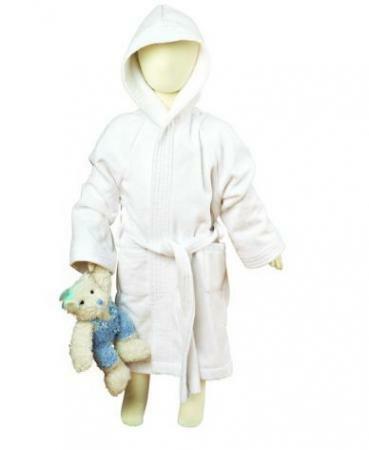 Snuggle up in this cute little hooded bath or beach robe for kids! Size 3-5 yrs. Weight 450 Gm2. Construction 100% cotton Velour.